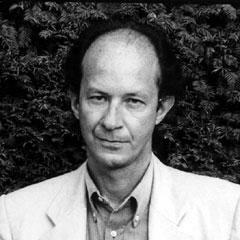 In his last column, Andrew Robinson introduced the work of Italian philosopher Giorgio Agamben. This week, he continues his assessment of Agamben by examining the basis for revolutionary political action and resistance to sovereignty that emerges from Agamben's work. In his last column, Andrew Robinson introduced the work of Italian philosopher Giorgio Agamben, focusing on his treatment of the sovereign power to declare ‘exception’ and its link to the concentration camp. This week, he continues his assessment of Agamben by examining the basis for political action that emerges from Agamben’s work. The political consequence of Agamben’s analysis is the need to refuse and resist the creation of states of exception, and by extension (since states of exception are inherent to sovereignty), to destroy sovereignty. As long as states claim an entitlement to ‘decide the exception’, to declare a state of emergency or to classify people as homo sacer, the risk of Auschwitz is immanently with us. While people are declared homo sacer, the situation could pass over into genocide for some petty reason at any time. So saying “never again” about the Holocaust can’t be limited to refusing the almost random circumstances which tip camps over into all-out genocide, it has to involve refusing the model of the camp itself. This is why, for instance, Agamben has taken a strong stance against biometric identification doctrines, which he terms ‘biopolitical tattooing’, reminiscent of the numbers tattooed on the arms of concentration camp inmates. As a result of this stance, Agamben pulled out of a lecture series at a New York university because he refused to submit to the American policy of fingerprinting all migrants, and has declared his intent to refuse to submit to similar practices elsewhere. Agamben believes that the problem of sovereignty is only increasing in severity. The problem is getting bigger, because the camp is increasingly indistinguishable from the social field in general – the state increasingly treats the whole of society as if it were one big camp. According to Agamben, the camp has been with us since the earliest states (or at least since ancient Greece – Agamben tends to neglect non-European histories), but the internal logic of state sovereignty has unfolded over time, so that the camp covers more and more of social life (through, for instance, the expansion of practices such as surveillance and biometric identification). This is because bare life and politically recognised life are increasingly collapsing into one another, forming what Agamben terms a ‘zone of indistinction’. And this, in turn, is because of the contradictory nature of the category of homo sacer, at once included and excluded from the logic of sovereignty, acting as its founding moment but also defined by the sovereign as radically outside it. For Agamben, the corrosive expansion of the logic of sovereignty, and the corresponding spread of dehumanisation and camp-like regimes, is inherent to the continued existence of the state. Given that the current situation is the end-point of a long and cumulative development, the implication is that, unless we get rid of sovereignty, things can only get worse. The cycle can only be broken by the emergence of new forms of politics and of life which are not reducible to the categories of sovereignty, and do not make use of its techniques (such as the power to exclude). This imperative leads Agamben to construct an alternative account of politics. Since sovereign power is based on the separation between bare life and politically recognised life, its destruction requires overcoming the division, constituting a form of bare (or biological) life which is also the site for its own form of political life, or which is wholly exhausted in bare life and does not require a supplementary political dimension. It must refuse any external decision, any logic which splits bare life from something else, and thereby take away the sovereign power to decide or ‘ban’. In other words, it requires that bare life be autonomous and self-validating. Bare life must claim the ability to value itself directly, without the mediation of sovereignty. The overlap of this view with Deleuzian network-based critiques of hierarchies, autonomist ideas of self-activity and self-valorisation, and anti-representationalist strands of anarchism such as Immediatism is extensive, and helps explain why Agamben’s concepts periodically pop up in insurrectionist texts. Agamben proposes ‘whatever-singularity’ as an alternative basis for political action, which escapes the logic of sovereignty. Taken from Deleuze and Guattari’s thought, a singularity is something which is unique and which can’t be reduced to a measurement or representation. Agamben likes it because it avoids his having to choose between universality and particularity. “Whatever” in English has unfortunate overtones of indifference (“whatever, talk to the hand”) which is not at all what Agamben means. Rather, he is referring to something mattering whatever it is, always mattering regardless of what it is – as opposed to the sovereign decision to divide life into things which matter and things which don’t. A “whatever-singularity” is neither reducible to its attributes nor expressible as an abstract generality such as universal humanity; rather, it is something which has general value as it is, with all of its attributes (and especially, as potentiality or possibility). It does not depend on any standard of conformity or subjectification or normality, or on belonging to the people or masses. It also denies that there is any particular essence which makes people human – instead, being human is a scattering of singularities. Whatever-singularity is also a kind of being which people are assumed to already have, which for instance motivates resistance to being normalised. In a sense, this is a radicalised version of human rights discourse, since anyone, whatever they are and whatever they do, is recognised as having a kind of autonomous ethical value. This is fundamentally an ethics of ‘letting be’ (with overtones of ‘being who you are’). It entails doing away with normativity as usually defined, with standards of good and evil which declare certain people to be valueless because of some particularly heinous deviant act they’ve committed (in contrast to the more common approach of either contracting normativity to cover a smaller range of acts, or altering it to focus on oppressive abuses). For instance, Agamben argues that ideas such as guilt and responsibility are derived from legal thought and hence from sovereignty. The ethical challenge Agamben poses is to still view every person – and, in line with the discussion in The Open, every animal – as fundamentally valuable in their own life, as having forms of life and particularity worthy of respect and autonomous existence, regardless of how ‘bad’ they are or what ‘crimes’ they commit. In effect, Agamben aims to take away, through choices in terms of language, ethics and philosophy, the threat posed by others’ ethical judgements in constituting a person or being as vulnerable. This does not remove human vulnerability per se, but does remove the particular risk of being made into homo sacer. It does, however, leave a particular ethical problem: are agents of sovereignty also to be treated as ‘whatever-singularities’, or as the negation of all such singularities? The ‘coming community’ corresponds on a collective level to ‘whatever-singularity’. It is related to the ‘people to come’, a concept Deleuze and Guattari borrow from Bergson, and to messianic ideas of a coming liberation. Agamben refers to the coming community as a form of social togetherness which is also a ‘non-state’ and is counterposed to the logic of sovereignty. The coming community is defined in Agamben as a kind of post-consumerist condition, emerging from a passage through current forms of life, such as the indifference of mass media images and of commodities through which one can reshape one’s identity. It passes through and beyond such forms of life by radicalising their challenge to normativity and sovereignty. It is not a hybrid space – hybridity is already actualised in homo sacer and the sovereign – but rather, a negation, the ‘un-man’. It is based on ‘whatever-singularities’ in their antagonism with the state and sovereignty (hence it cannot seek to seize state power). Agamben believes that whatever-singularities can form communities without affirming ‘representable conditions of belonging’ (such as laws, norms, etc). It also does not rest on categories of identity (even the identity of excluded or marginalised groups), which for Agamben, remain trapped within old forms of politics which reproduce sovereignty (mainly because the recognition of an identity is necessarily separate from the processes of life which constitute it). In conditions of sovereignty, life has to separate itself from the orders of subjects and objects, to free itself from biopower and from hierarchical relations with living things, to become whatever-singularity and to attain radical immanence. In Potentialities, Agamben argues for an almost Buddhist stance of contemplative separation which preserves instead of deciding. Agamben’s stance also has a revolutionary aspect. 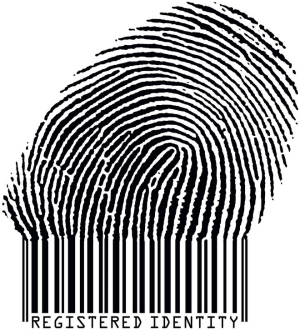 Rather than starting from identity, Agamben’s ethical theory starts from the standpoint of bare life. In Remnants of Auschwitz, Agamben argues that the ethical standpoint from which one should start is provided by the experience of concentration camp inmates. More precisely, it should start from the standpoint of the most abject sub-group of inmates, the so-called Musselmanner who were near death and had lost the will to live, who hence embodied directly the idea of bare life. This is because of a particular moment of inversion. The moment of catastrophe is taken also to contain the moment where salvation becomes possible, with passage through the low point of the current expansion of sovereignty acting as a transition to liberation. This is a rather strange argument, but based on a viable observation: that only when the logic of sovereignty is fully unfolded (only when we are faced with a giant tree instead of a sapling) does the nature of the problem – or the nature of what needs to be got rid of – become clear. This also means that, in Agamben’s view, liberation is ambiguously tied to sovereignty, as its negation. In a sense, therefore, Agamben remains within a Marxist model of historical becoming. Richard Day has expanded Agamben’s argument, claiming that social networks of marginalised groups are already ‘coming communities’, and also that the term should always be kept plural. He views the Marxist element in Agamben’s thought as unhelpful, arguing that post-consumers are not the most likely source of the coming communities. Another aspect of the coming community is that, on one level, it is a very small shift. 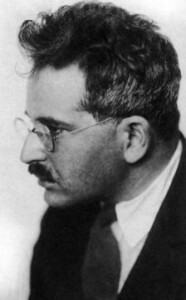 Inspired by Jewish theology and authors such as Walter Benjamin, Agamben draws on messianic ideas of a total transformation of the existing world into a different world through a small gesture, the addition of an aura, or a new way of seeing. In a sense, everything stays as it is, and yet is rendered different by the removal of the transcendent moment of sovereignty. My main concern with Agamben’s theory arises from some degree of scepticism regarding the assumption that political issues have an ontological status. Agamben’s work has become strongly resonant and fashionable for a very clear reason: he is talking about issues which speak to the problems of the moment, which seem to communicate directly with issues such as Guantanamo Bay, ‘anti-terror’ laws, attacks on civil liberties, and the global ‘war on terror’. It is a good thing that theorists are giving serious attention to these issues, and the social logics of states are clearly tied-up in them. The difficulty is the question of whether these issues really operate on the deep ontological or structural level which Agamben assumes. Political events are taken to express ontological rather than contingent phenomena (or more generously to Agamben, perhaps the contingencies reveal ever-present potentialities). Sovereignty has always been what it is (i.e. Auschwitz), but it has unfolded cumulatively according to its own logic. But can sovereignty ‘unfold’ of its own accord, as if the entire political context derives from it? I feel there is a fundamental problem with Agamben’s work, and that of several other continental theorists, which stems from an unduly reductive, single- (or at most double-)agent account of social forces, in which sovereignty is treated as a determining instance from which the rest of modern social life follows (akin to the role of capitalism in Marxist theory, but with capitalism replaced by sovereignty). Agamben explains the current situation mainly through the unfolding of a single dynamic, that of sovereignty. This underestimates the extent to which the state’s unfolding is restricted and inflected by other powerful social forces. For instance, there are cases where state power is constrained from the outside by the power of social movements (such as various discussions of society against the state, from Clastres to works on Latin American social movements), or by forces such as transnational capital (as much of the scholarship on globalisation argues); cases where the state is ‘in society’ and fuses with it, becoming at least partly dependent on social movements, as discussed by comparativists such as Joel Migdal; and cases where a ‘historical bloc’ of local class forces contributes to the formation and direction of the state, as in neo-Gramscian analysis. This doesn’t necessarily mean that Agamben is wrong about sovereignty. The fact that states are constrained by or even hybridised with other social forces does not necessarily preclude them having their own logic or dynamic. To argue by analogy, capitalists always seek to make profits, even if sometimes they have to rely on local kinship networks to secure profits, or pay off local leaders to access resources. The profit motive is inherent to capitalist motivation, even when this motivation enters into hybrid combinations. Similarly, it is quite plausible that Agamben’s account of sovereignty describes something inherent in the functioning of states. But nevertheless, the question of whether, to what extent, and how the state is able to actualise sovereignty becomes dependent on its location among other social forces. If it is suddenly acting more thoroughly on this logic, then it is quite possible that it has not simply evolved cumulatively, but has either grown stronger relative to other forces, has ‘seceded’ from them and become unconcerned about its effects on them, or is benefiting from an enabling context which lets it unfold its own dynamic in an unconstruained way. In other times and places, states have either been forced to permit or unable to prevent the expansion of rights such as habeas corpus. It is particularly paradoxical that the state is acting in a more unconstrained way with regard to sovereignty at precisely the moment when it has lost important powers to global capital. 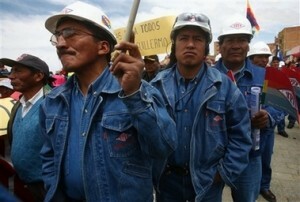 Is global capital actually permitting, or even encouraging, the unfolding of sovereignty? Is sovereignty becoming more apparent because the cathartic outlet of interstate conflict has declined? Are states acting up because they fear their own loss of power to transnational networks, from social movements to armed opposition groups? Is the state becoming less afraid of powerful ‘included’ groups such as organised labour and the professions, which would otherwise make it hesitant to risk deploying sovereignty? Is the discourse of sovereignty reappearing in force because the state needs to redefine its own role to survive the decay of other narratives (such as the state-as-arbiter and the state-as-distributor)? Agamben’s approach to politics is thoroughgoing in its cleaning-out of statist ways of thinking, and hence has much to offer. It does tend, however, to be rather all-or-nothing. Agamben’s approach makes it very hard to make distinctions between better and worse kinds of states, between greater and lesser degrees of recognition of civil liberties. It makes it hard to think about creating resilience in social movements in the period before the state is destroyed. Perhaps more thought needs to be given to the exact conditions in which states can be forced not to declare exceptions, or in which states of exception can be contingently defeated (from the El Alto ‘gas war’ to the Woomera protests). The state seeks to impose a logic of sovereignty, but this logic is often contested by other social forces. While the elimination of sovereignty may well be the only way to destroy the conditions for future genocides, social movements which do not yet have the power to shatter the state can nevertheless undermine it, rendering its power increasingly limited, partial and conditional. Another problem is with the view that resistance should come from the standpoint of bare life. I would suggest that it should, rather, come from the standpoint of whatever-subjectivity as something which is at once ‘bare’ and self-recognised, and which reconstitutes itself outside the statist frame. The idea of taking the standpoint of the most excluded or oppressed, the “social symptom” in Zizek’s terms, is not unique to Agamben, and has a certain emotional pull. It is, indeed, at this point that the oppressiveness of a particular system becomes most apparent. It is, however, not in the helpless abjection of homo sacer but in the rejection of the state’s view of one’s status as (potentially or actually) valueless and insistence, against such a view, on self-valorisation. This means that resistance can’t actually be expected from people reduced literally to the status of the so-called musselmannen at Auschwitz. Part of the difficulty is that the group which is most oppressed and despairing is also likely to be reduced to a condition of ‘learned helplessness’. On the other hand, inmates of camps, even Nazi death camps, did resist, to the point of staging a mass uprising at Sobibor death camp and in the Warsaw Ghetto. Authors such as Erving Goffman, Thomas Mathiesen, Michel Foucault and James Scott have shown how people resist and recompose their subjectivities and social relations even in camp-like settings. 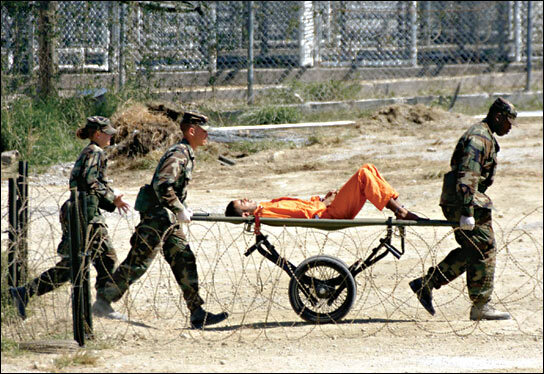 Forms of everyday resistance, spectacular protest (such as hunger strikes), and occasional uprisings can be observed even in horrific places like Guantanamo Bay and Abu Ghraib. This resistance comes, however, not from the most abject people, but from people who are resisting being reduced to this status. It comes, not from bare life, but from a refusal to be reduced to bare life. It is thus not a passage through despair, but a way of warding it off. The conditions for recomposing hope in desperate circumstances do not stem automatically from despair, but rather, emerge from active practices of resistance and the reconstruction of meaning. Agamben is thus right in starting from the standpoint of the excluded, but wrong in viewing abjection as a correlate of (rather than an effect of state power on) this standpoint. Rather, transformation becomes possible through the conversion of exclusion into autonomy, through the rejection and immanent overcoming of sovereignty. This is a really excellent 2-part introduction to Agamben, I’m very impressed. Thanks. State sovereignty is based in part on the doctrine of Uti posseditis, established by colonial powers. Reading Uti posseditis requires a simultaneous reading of the VCLT Article 26 Pacta Sunt Servanda. Consider also the dictum in the Barcelona Traction case and the legal duty in UN framework treaties of ‘solidarity’. These are only four of the reasons why state sovereignty as a legal doctrine is upheld by the international law community. Understand the Nagymaros case. Study how the Bakassi and Sedudu Island cases illustrate my earlier points. What is of increasing legal power in regard to state sovereignty is the expansion of the doctrine of state jurisdiction and the regression of state immunity (see Kenyatta ICC Status Conference). I recognise the value of certain elements of the work of Agamben; however I strongly disagree with the assertions about state sovereignty. I recommend you read the ILC Articles on State Responsibility. Contact me if you want further elucidation and a brief overview of precedent cases in international law such as the Western Sahara and Namibia cases. Please note that my eyesight may not allow me to do the captcha below. What’s wrong with you? You think by throwing a list of ICJ cases and referring to general documents Sovereignty you can disregard a person’s work. Try to show some professionalism when you comment on a person’s work.